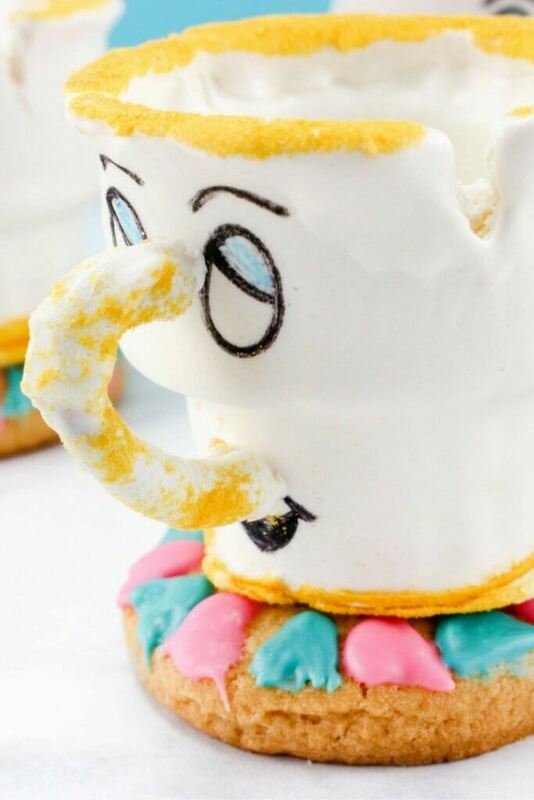 What’s Inside: An adorable Chip Teacup edible cookie treat, perfect for kids parties and Beauty & the Beast birthdays! 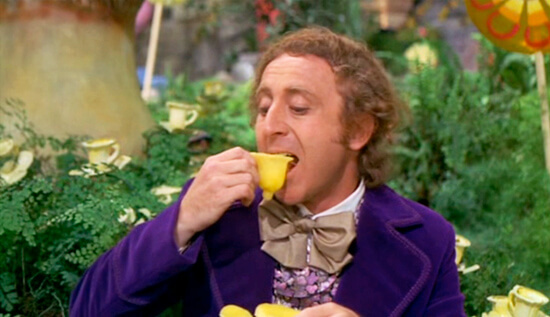 Belle was always my favorite princess growing up so I’m super excited for the new live-action Beauty & the Beast. 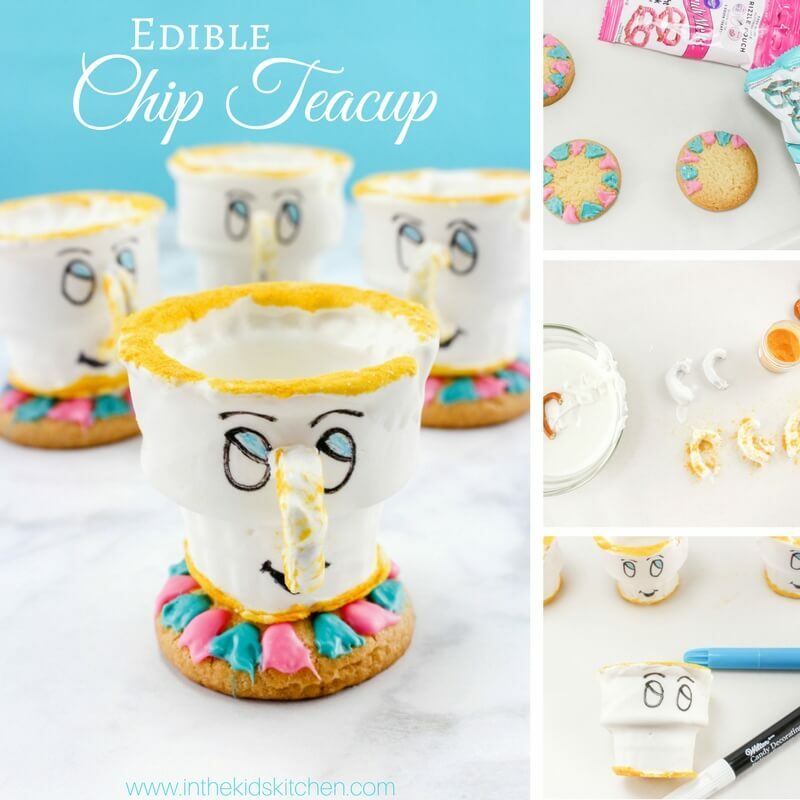 This Edible Teacup Recipe for Chip from Beauty & the Beast is a cute treat to make with or for the kids before watching the movie! 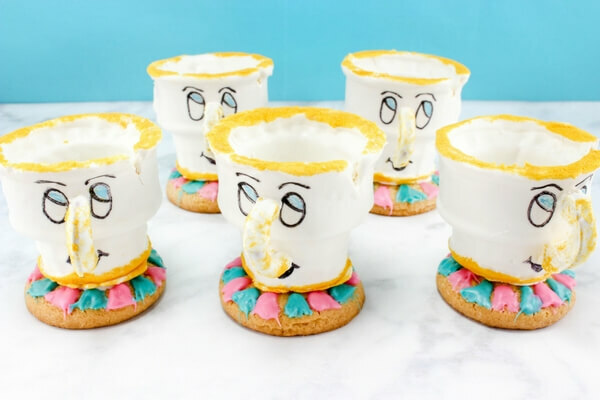 The inspiration for these edible Chip teacups comes from that scene in Willy Wonka where Gene Wilder picks up an edible daffodil in the Chocolate Room, sips some tea out of it, and then proceeds to take a bite! 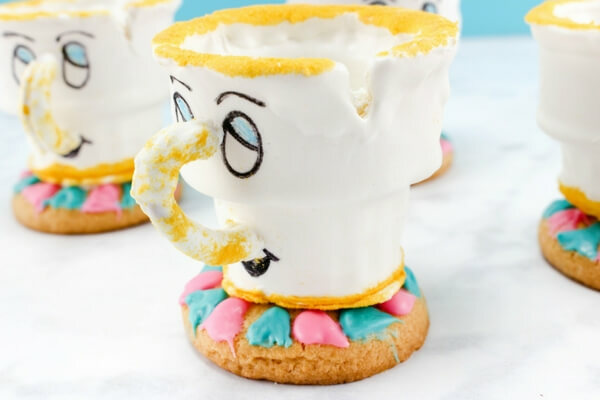 This edible food craft comes together in just a few minutes and is completely no-bake, so it’s a great activity to involve the kids in and would be perfect for a Beauty & the Beast movie night or birthday party. 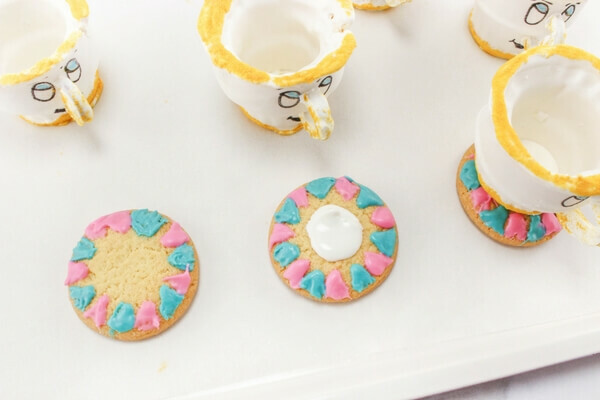 The edible teacups can be served filled with berries or ice cream, too! 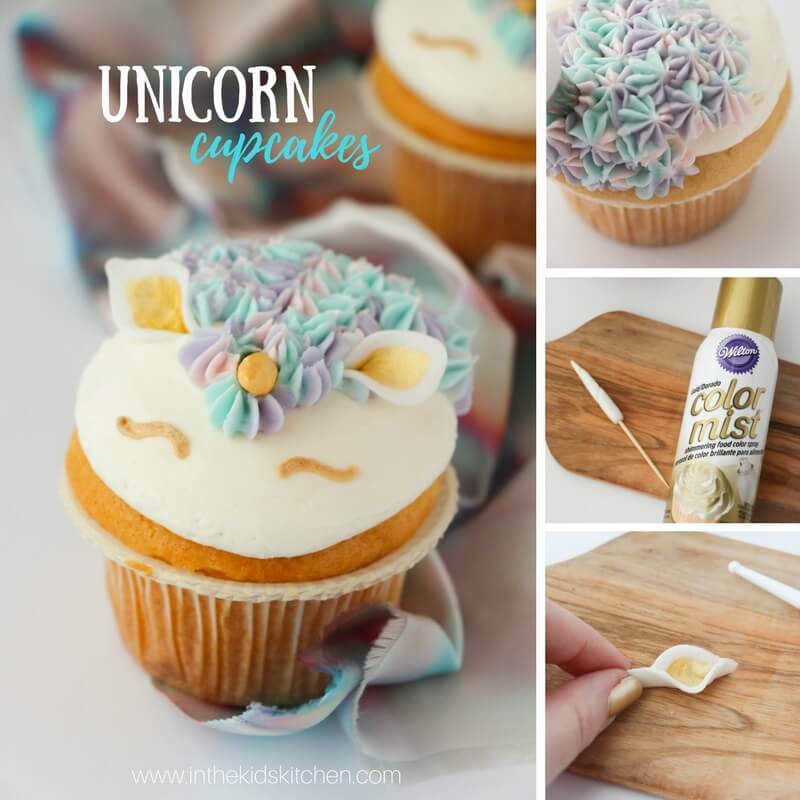 We used the same edible gold glitter that we used on our Easy Unicorn Cupcakes but it is optional and you can use yellow sugar crystals or even yellow candy melts in their place. 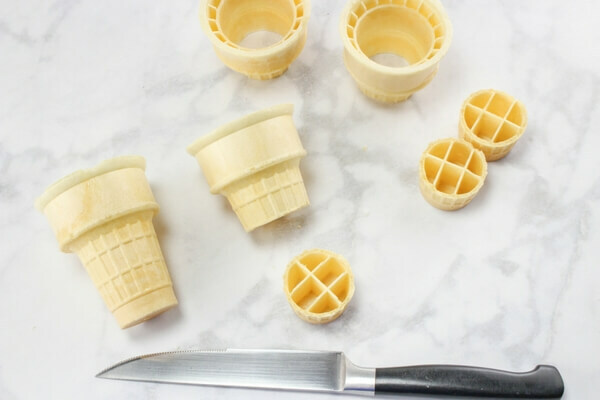 Cut about 1/3 of the bottom off each ice cream cone. 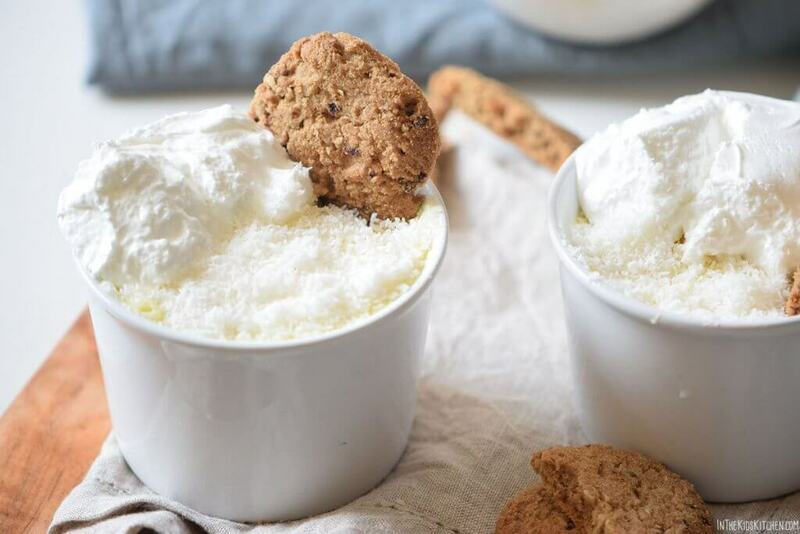 Fill with berries or ice cream and enjoy! 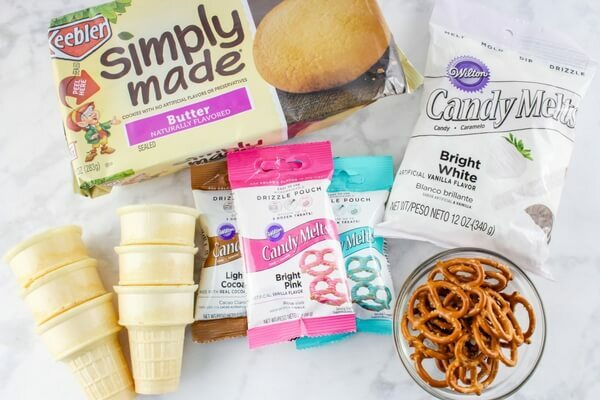 Dip ice cream cones into melted chocolate until covered inside and out, place on parchment paper and let dry. 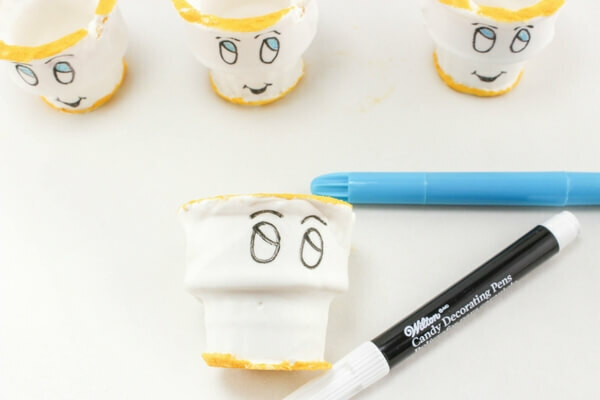 Cut a small V-shape into the top of the cone to form his namesake "chip." 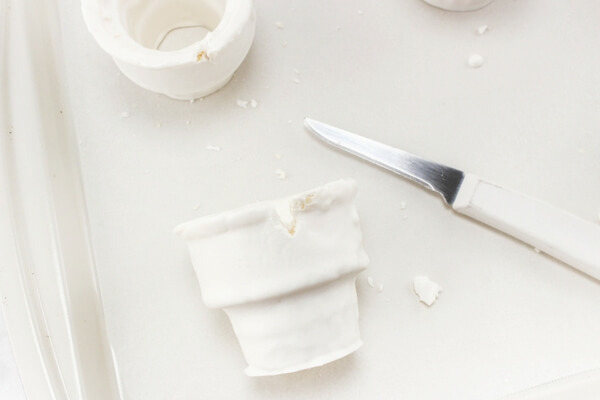 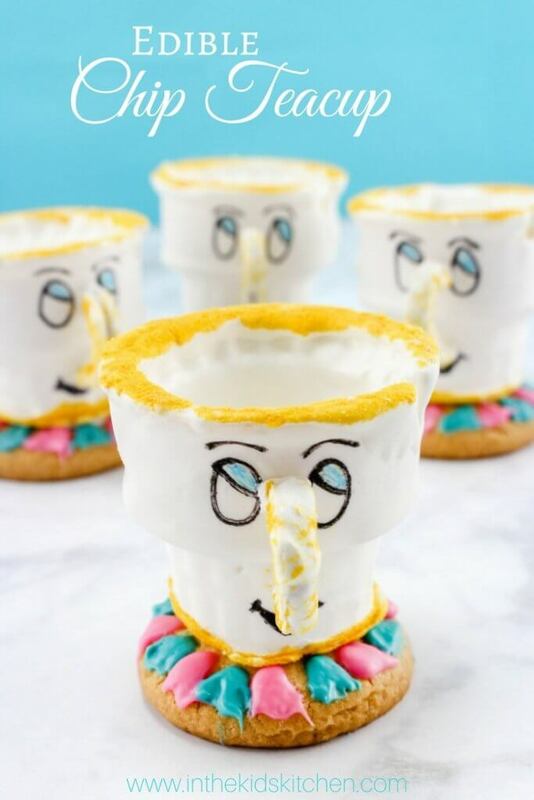 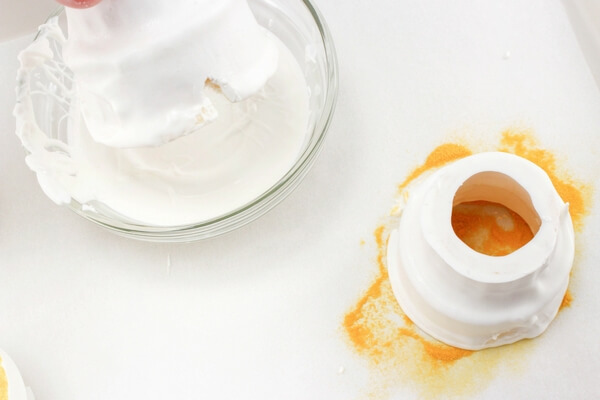 Will you be making these cute edible teacups from Beauty & the Beast with your kids? 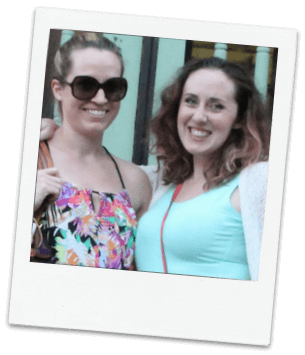 What will you be putting in them? 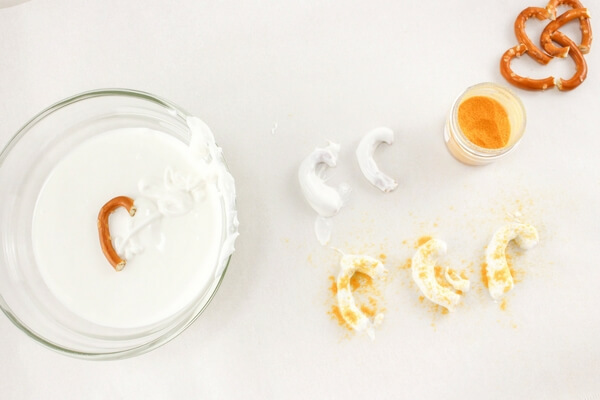 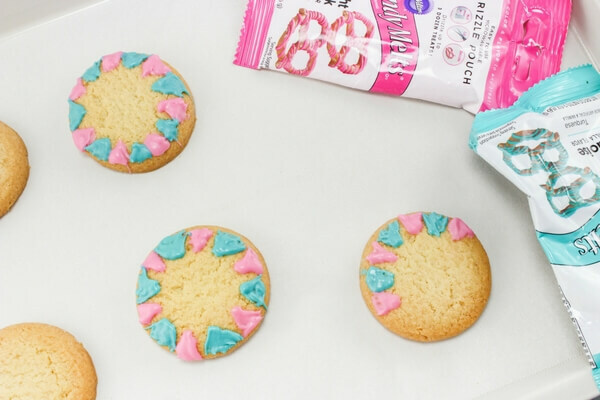 For more easy and cute kid-made recipe, check out our Easy Unicorn Cupcakes or our fluffy, dairy free coconut pudding recipe.